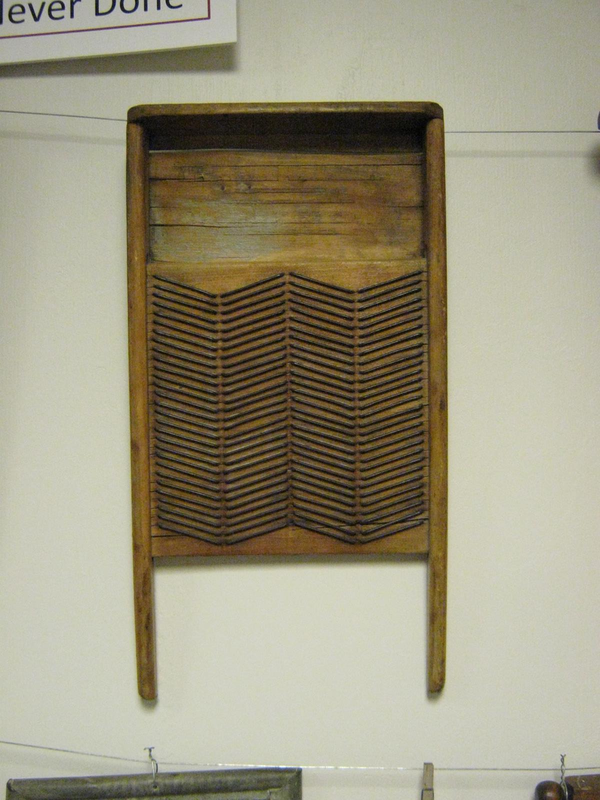 Washboards were commonplace in every household, so it is not surprising that there were numerous washboard designs. 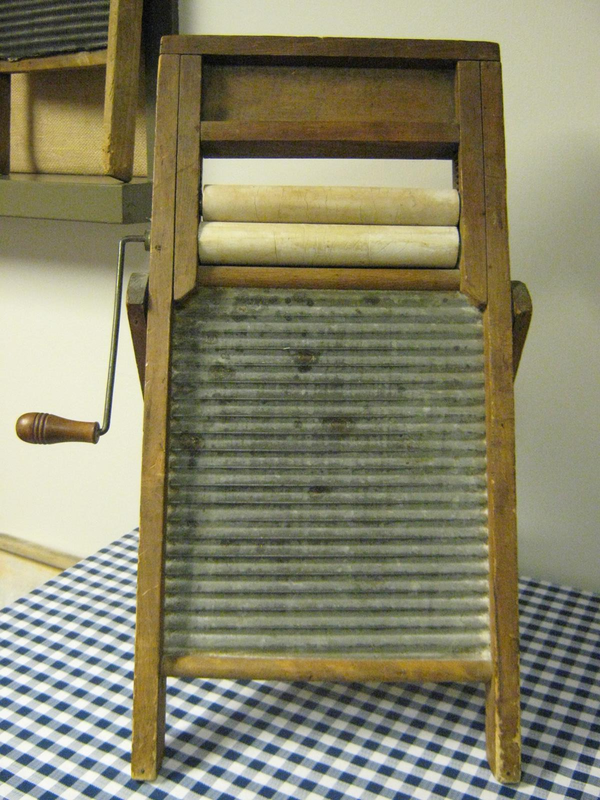 This page examines some of the different variations of the typical family washboard. As mentioned earlier, there were man different styles of washboards. As you scroll through these photos, keep an eye out for the different shapes, sizes and designs of these washboards. 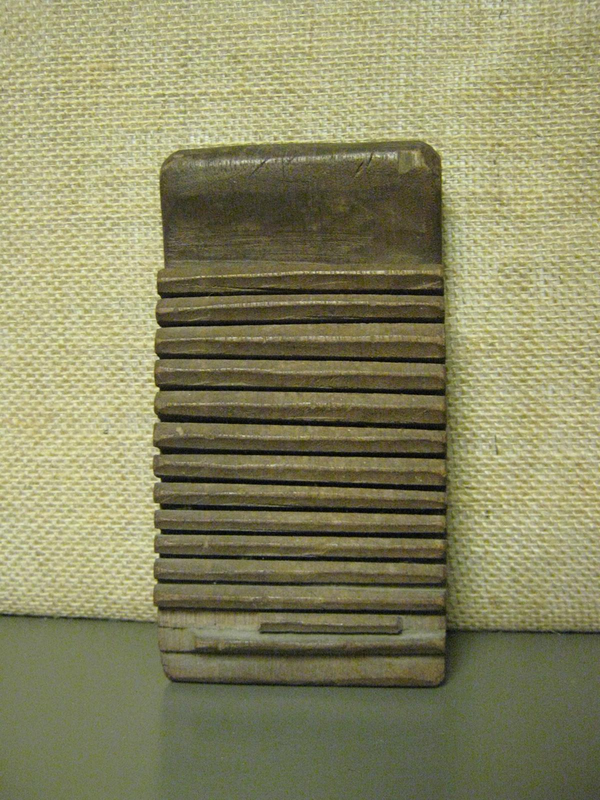 Some washboards had different designs imprinted on them that served as decoration and could be attributed to a more effective cleaning style. 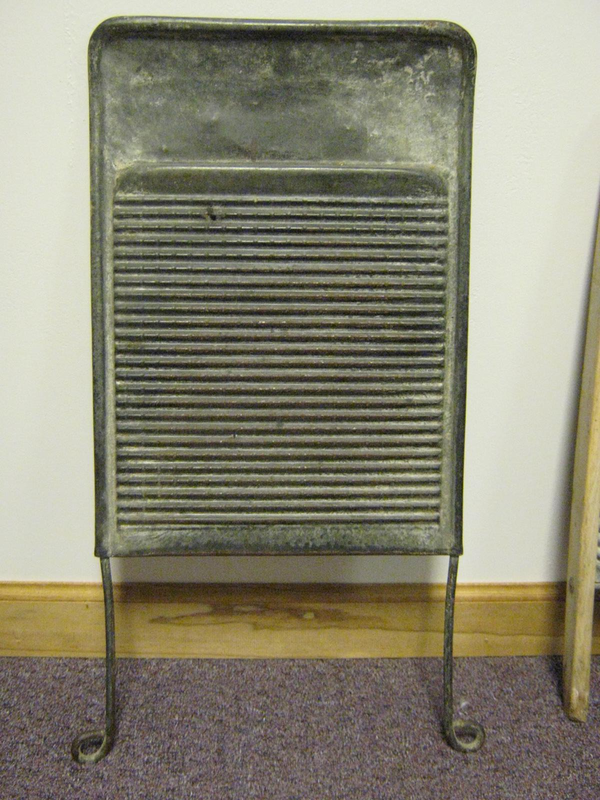 This particular washboard is made of stone and is most likely a very old one at that. 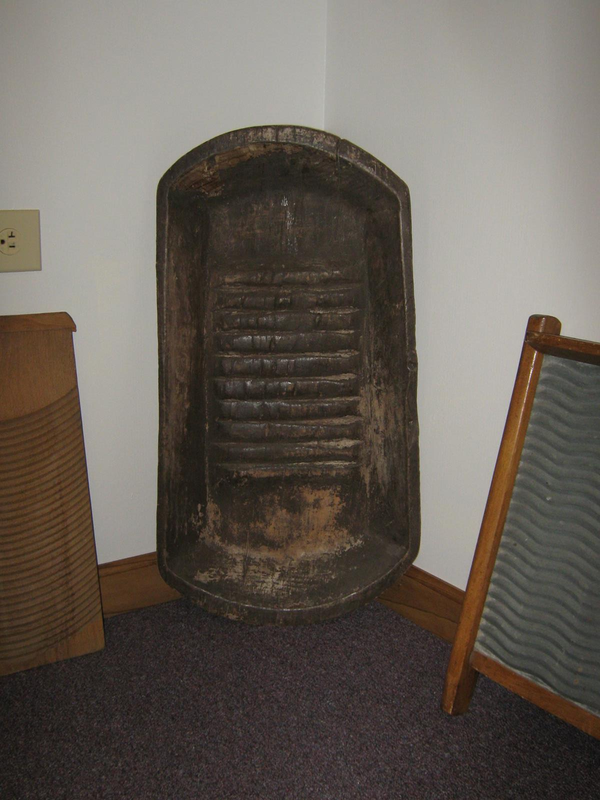 This is a unique combination of a washboard and a wash basin. 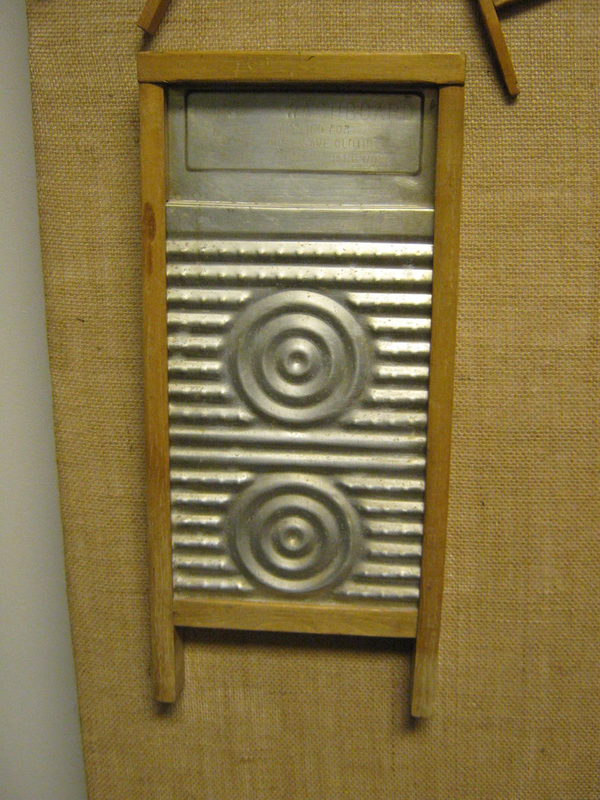 This washboard is a wood and wire board, but the style is a little different because of the v-shaped wires. As time progressed, ringers were attached to washboards, which sped up the drying process. 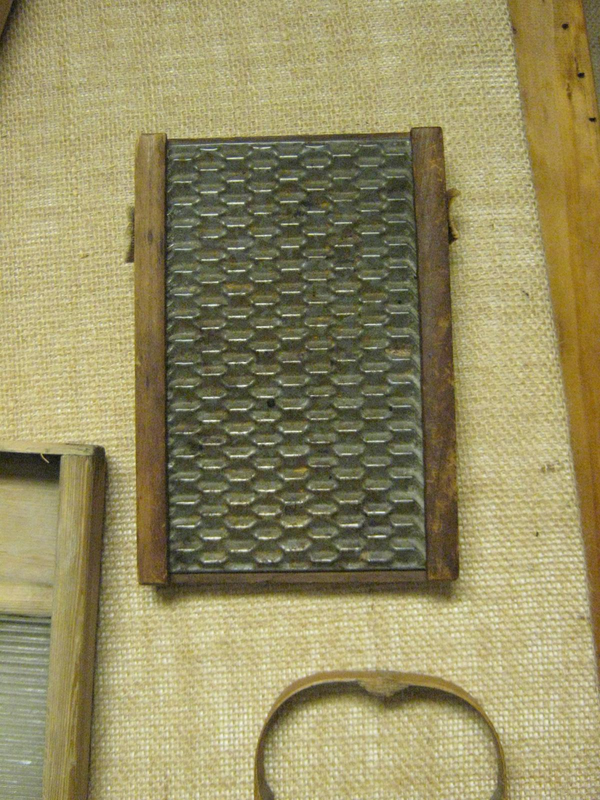 This washboard had a honeycomb design instead of the typical ribbed surface. It's small size also indicates that it was used to wash more delicate items such as sleepwear and undergarments. 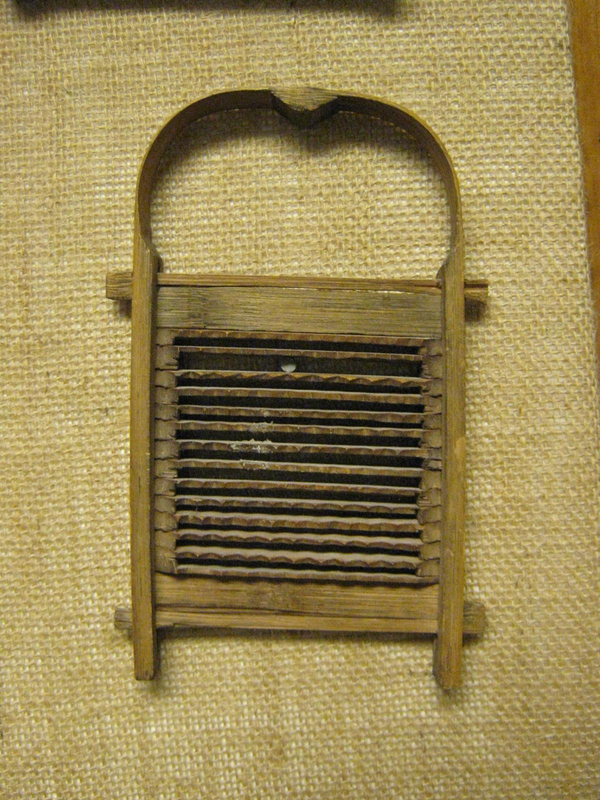 Similar to the previous washboard, this washboard was also presumably used for more delicate items. This was small enough to be a handheld item if desired.